“Where do we start? In a nutshell we can’t recommend Hannah highly enough! 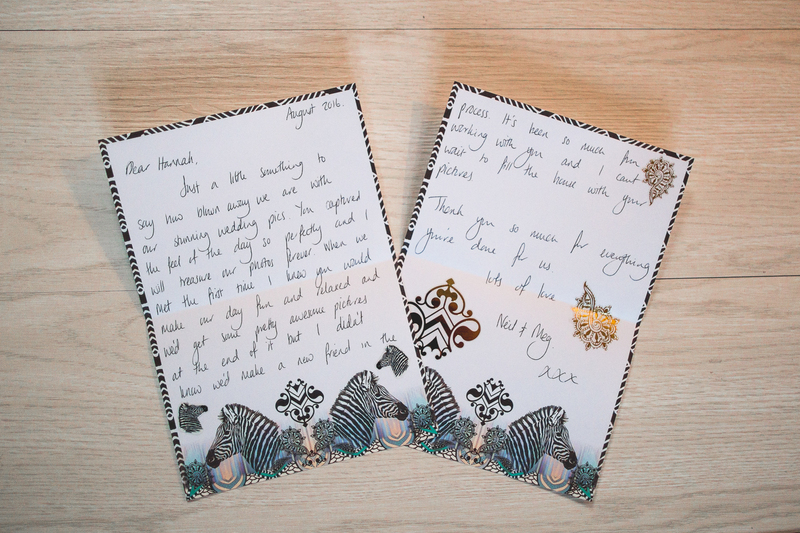 We were put in touch with Hannah through a close friend and we’re so glad we were! Hannah captured our day perfectly and she’s now definitely a friend. 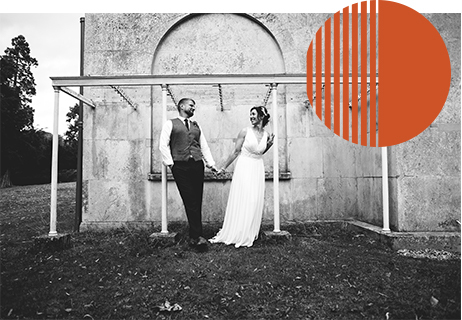 Right from the beginning Hannah was really easy to work with and understood the vibe we were going for – she was very receptive to our ideas, whilst offering hints and tips about what worked from previous weddings. We instantly built up a rapport and enjoyed bouncing ideas off her. Hannah suggested a pre shoot and despite being initially hesitant we agreed – looking back this was the best decision as it got us used to being in front of Hannah’s cameras and getting to know her way of working. Hannah is a real visionary and captured some really creative shots. And we had a good laugh too! The other best decision was having a second shooter, again suggested by Hannah. Our second shooter was able to capture many more moments from the day and this wasn’t something we considered before. Hannah is great with people (of all ages!) and her pre wedding preparation reduced a lot of pressure on the day. After our wedding we received many compliments about what a genuinely nice photographer she was. Lucky us! Oh my gosh! Where do we begin? Thank you SO much for giving us the BEST lifelong memories of the most magical day of our lives!! I knew we needed you from the moment we saw your other work and it was the best decision we made. They are just perfectly fantastic and you captured everything... you got it ALL. Thank you! We had seen your photos and knew it was what we wanted. We then met you and loved the immediate connection. You spoke of ‘stealth’ and delivered just that and more. We are so very grateful for such amazing pictures and memories and have gained a lovely friend along the way. Hannah’s talent lies in her finding the beauty in ordinary moments. At our wedding she captured the most precious pictures; of my children smushing their faces into glass, of recently bereaved family members laughing their socks off, of my Dad pulling silly faces at me kissing him, of the moment my crying Mum came over to hug me after she’d read my thank you letter; of my best friends laughing at each other; of my mother and father in law watching my other half waiting for me to come down the aisle. Of course, we also have lots of precious pictures of the moment of us getting married too, but I believe what stands Hannah apart from the multitudes of wedding photographers is finding and recording the parts of your day you might otherwise forget or miss. Her work is so honest, and so inclusive of all the people you’ve invited to share your day. Looking through the pictures she gave us was like having a videographer we hadn’t planned; a story board of the emotions of our day, of everyone’s reactions to what we had going on. I have no idea how Hannah managed to get all the shots she did, it was like she was everywhere at once. We thoroughly enjoyed our wedding but we now very much wish we had decided to have Hannah there with us for longer. We owe her enormously and I can’t wait to ask her to take more photographs of our growing family in the future. 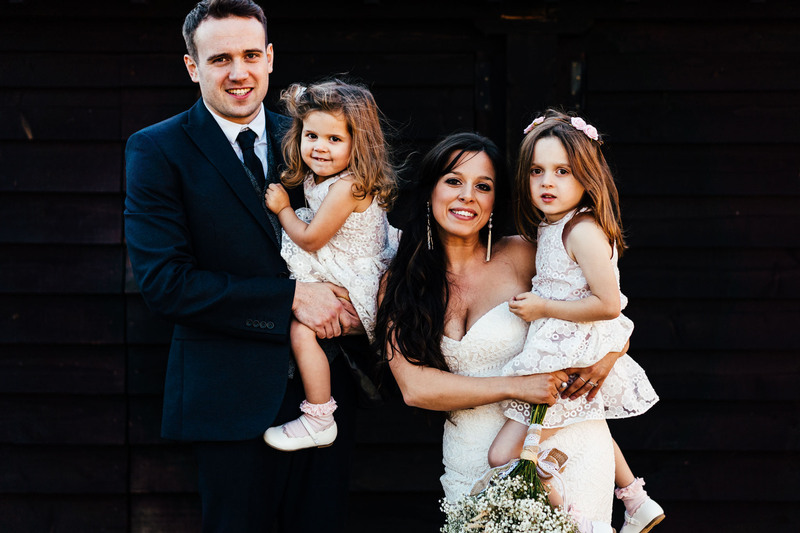 “After being let down by our original photographer, we were recommended Hannah and we will always be grateful that our old photographer pulled out!!! It was clear after our first meeting that Hannah was going to be a great addition to our wedding and that the photography was in safe hands. She made us feel at ease during a pre-wedding shoot, which we would highly recommend. We soon got to know how she worked and from the photos she clearly captured ourbest moments. The work that Hannah did behind the scenes in preparation for the day (including an hour long skype session and a reccy of the venue) meant that everything ran as smoothly as expected. On the day Hannah was a calming influence producing creative photos of the bridal party getting ready, whilst being subtle in her approach. Despite the gale force winds and rain, Hannah adapted the plan to ensure all the important group shots were captured. Looking at the end result you wouldn’t even know how grim the weather was.The evening shots were by far the most impressive of the collection, giving us lasting memories. We were very impressed with the number and variety of photos taken and she ensured that she didn’t leave until she was satisfied that every moment had been captured. 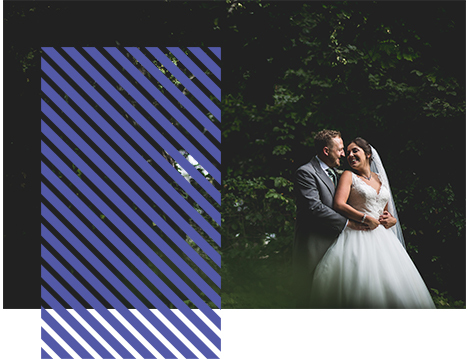 “Hannah has been absolutely amazing from the moment we asked her to photograph our wedding until now, over a month afterwards. She could recommend how long everything would take so we could plan the timings of the day really carefully and took the time to Skype with us as we were too far to meet. We looked at so many galleries of photographers and spoke to so many until we came across the amazing Hannah! What a lady. She has been fantastic from start to finish. From our sub zero temperatures pre wedding shoot which was awesome, to our amazing wedding day. The thought of having cameras follow us all day was a tad daunting but Hannah made us feel so relaxed and our natural shots are just absolutely beautiful! Our wedding day came and went so quickly but we will always have our memories and pictures of the day to cherish! They are amazing Hannah and you are truly the BEST. We had so much fun, #teambrolly and all our guests commented on how fab you were. We can't thank you enough. The first time we met Hannah, we knew she was the one for us! We had seen some of her photos from previous weddings and loved her style - the classics were there but every wedding she did had something different, which we loved. She is also one of the loveliest people we have met! The whole process with Hannah was so easy and enjoyable; she knew what she was talking about and given we haven't planned a wedding before, Hannah guided us through the process perfectly. Our pre-wedding shoot was great fun and we loved the photos so we had high expectations for our big day. Well, what can we say? Amazing. Hannah was the first "supplier" to be booked for our wedding. Photographs in general mean a lot to me so I had to be sure I picked someone who takes a perfect pic! And my gosh she does. The entire album is amazing and makes you smile and laugh from beginning to end. We have had so many fantastic comments from our social media "first looks" and everyone is excited to see the album. She tells the story of your wedding day perfectly. The pre wedding shoot is invaluable and helps get you relaxed and ready for your big day. Now the tricky task of working out which pics make the album and which ones don't. Thanks Hannah, very grateful to have you part of our special day. I stumbled upon Hannah's photos on Instagram of all places! I was tearing my hair out trying to find a photographer last minute who did the kind of photos that we wanted on a tight budget, I was apprehensive at first emailing for a quote for someone I had only seen a relatively small amount of photos from but I am so glad I reached out to Hannah. She immediately sent me over her portfolio of other weddings she has done in the past and obviously I fell in love! 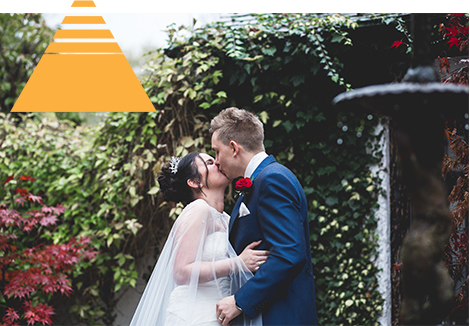 Hannah shot our wedding on 29th October 2016, our photo requests presented something of a challenge as it was the last ceremony of the day, the last day before the clocks went back so we were left with a very very short window of light for our outside photos. 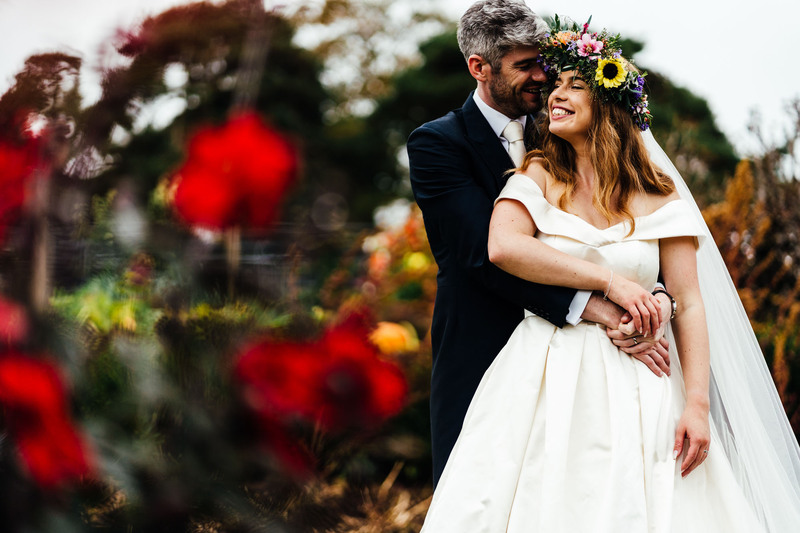 Not that that phased Hannah at all, she shot some beautiful photos at 'magic hour' and later took us on an adventure with our best man and some fancy equipment which gave some absolutely stunning shots. I would recommend hiring Hannah as your photographer to anyone, she was responsive to every single Bridezilla email I sent and even dedicated some time for us to Skype her before the wedding day so we got to know each other. I don't really know what else to say except that when you hire Hannah you don't just get some mindblowing photos, you get a fun, calm, down to earth extra wedding guest thrown in too. I cannot wait for Hannah to shoot our bump-to-baby photos next year because I already know how brilliant the whole experience will be. “I am so happy I chose you as my wedding photographer. Hannah, the way you captured our wedding was so beautiful, thank you so much, we love all of our photos and every one is so natural, perfect and personal. We both have said any future events we would only want captured by you, Hannah. Not only did you photograph our big day you helped me & the bridesmaids with finishing touches. From the start you have been so helpful with everything I could go on for ever with this review. Can’t thank you enough Hannah!" “As with most couples Nick and I were so worried about being photographed on our wedding day. We both had visions of awkward, unnatural poses and false smiles. 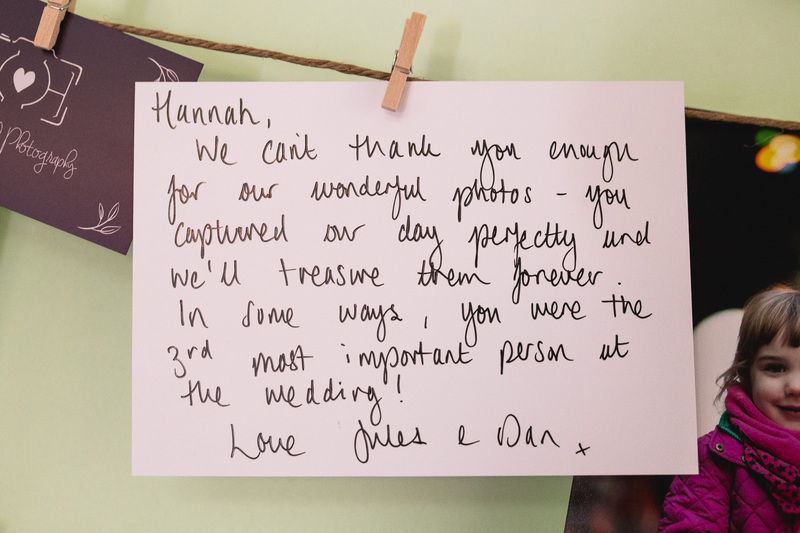 Our experience and images could not be further from our expectations – Hannah produced a set of beautifully natural, gorgeous photos with a perfect balance between something really special and something really ‘us’. And we didn’t feel awkward at all! Thank you Hannah for giving us the most wonderful gift – memories and blissful moments to look back on for years to come." “It was really important to me to have the ‘right’ photographer on our special day. On meeting Hannah, I knew she was the one for us, almost straight away… After all, she would be with us all day, and mixing with our friends and family too. Not only a lovely person, but an excellent eye for those amazing shots to capture the beauty of the day. Hannah also did us a pre wedding shoot, and both sets of photos are fantastic. She was brilliant at liaising with our venue to make sure she had the inside info on where the best shots would be, sitting in damp grass is no sacrifice for her to get the money shot from the right angle. We have had so many compliments from our friends and family on our wedding pics, and can’t wait to see our album. Highly recommended by this newlywed!" “Hannah is a one-woman wedding wonder! Always smiling, popping out from behind a pillar to snap the happy couple! She was so friendly, organised and approachable. 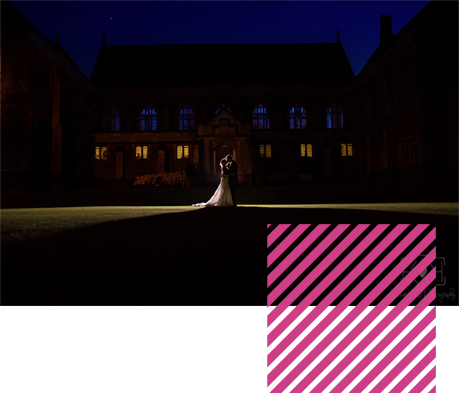 A lesson in modern wedding photography, and I for one cannot wait to see the results of her unending passion." “Well we’ve looked at the images a few times now and each time we look they just get better….they really do capture the fun evening that we had. We had debated long and hard about whether we actually wanted a photographer for the night and thankfully we decide we did and your details were passed to us through Emma, how lucky was that… Thank you ever so much for your time and helping us capture a memory which will stay with us forever, I am sat here with a big smile on my face now just remembering the evening we had… It really could not have been better."